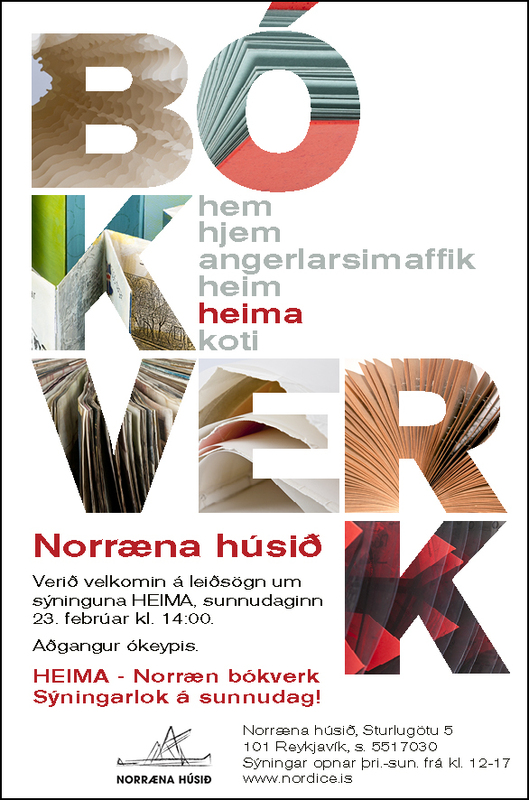 Hér er blogg-færsla um bókverkin með myndum hjá Doverodde Book Arts og hér eru enn fleiri myndir á Flickr-síðu þeirra. 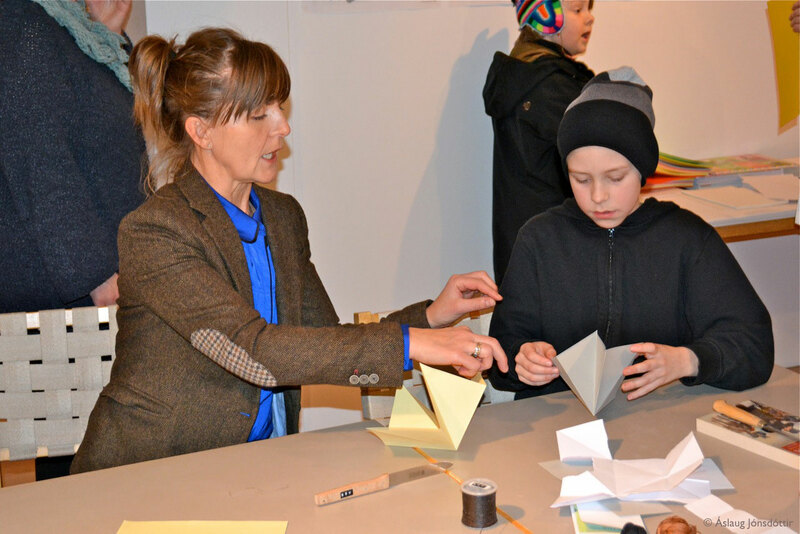 The travelling exhibition: HOME, hem : hjem : koti : heim : heima : angerlarsimafik, can be viewed in Doverodde Købmandsgaard in Jutland until June 13th. 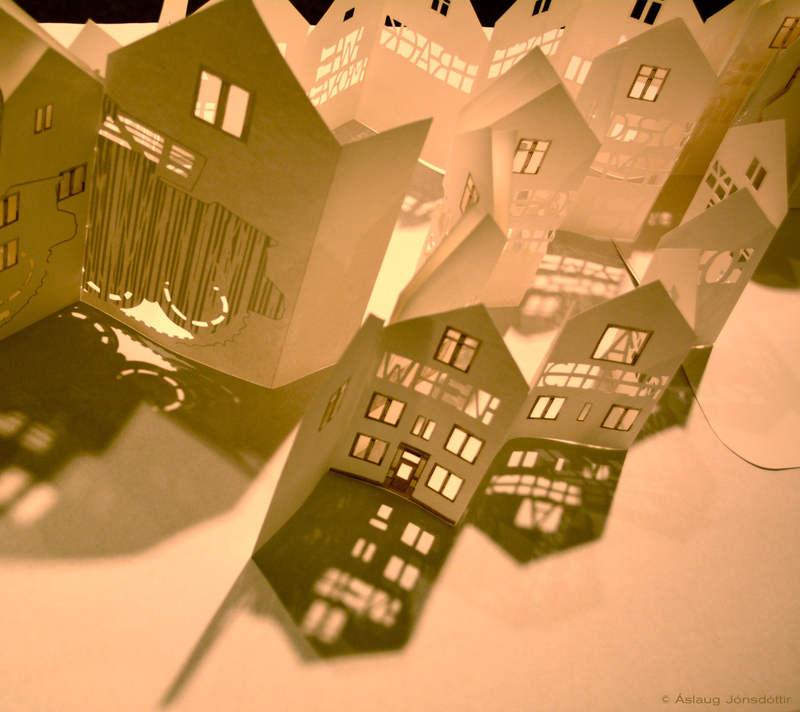 It will then be exhibited in the cultural center Nordatlantens Brygge (The North Atlantic House) in Copenhagen, where the exhibition is hosted from June 21st until 25th of August. 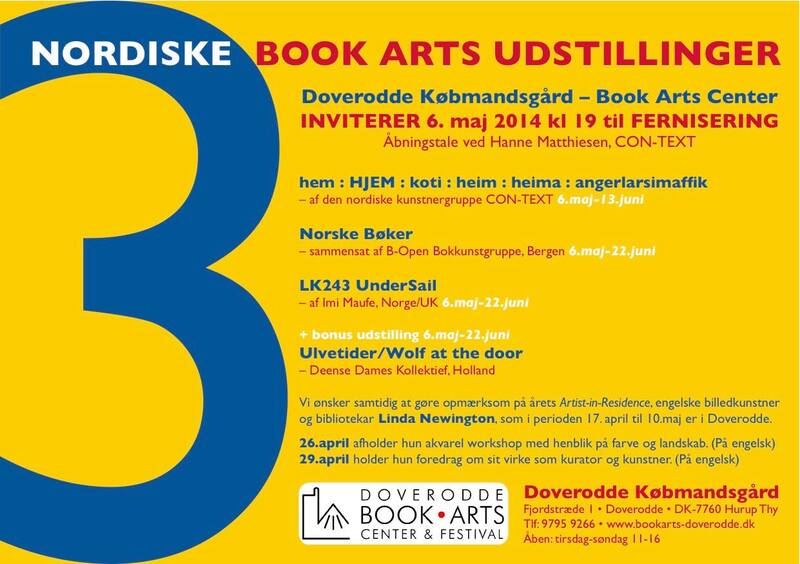 Here is Doverodde Book Arts’ blog with an article about the exhibition (in Danish) and here are more photos on their Flickr-page. Það hefur verið rólegt hér á blogginu um hríð en það þýðir ekki að ARKIRNAR sitji auðum höndum. Fregnir af næstu sýningum birtast hér bráðlega! Farandsýningin HEIMA, hem : hjem : koti : heim : heima : angerlarsimafik, heldur áfram ferð sinni um Norðurlönd, en síðastliðinn þriðjudag var sýningin opnuð í Doverodde Købmandsgaard á Norður Jótlandi. Þar opnuðu hvorki meira né minna en þrjár bókverkasýningar þann 6. maí 2014. Sýningin heldur síðan áfram til Kaupmannahafnar í júní og verður til sýnis í menningarmiðstöðinni Nordatlantens Brygge til 20. ágúst. 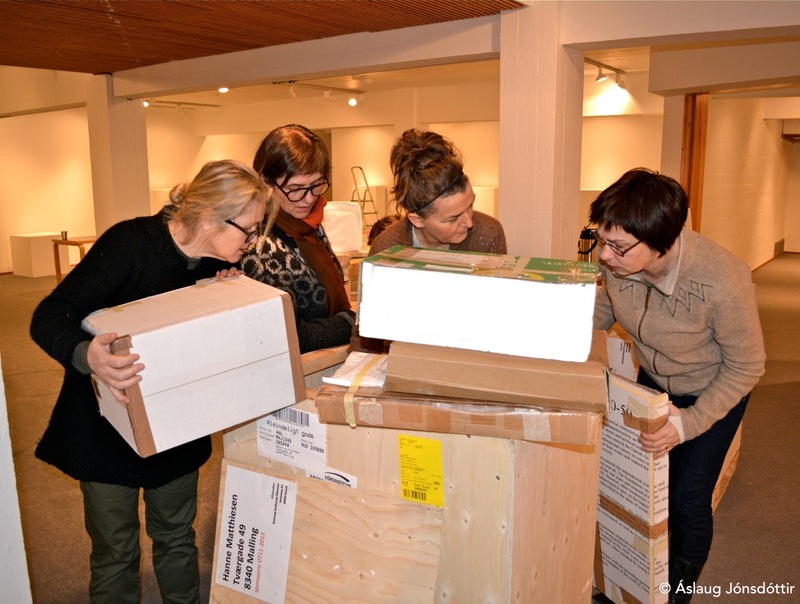 ARKIR are happy to announce that the travelling exhibition HOME, hem : hjem : koti : heim : heima : angerlarsimafik, has now opened in Doverodde Købmandsgaard in North Jutland. Exhibition dates: 6th of May – June 13th. Later in June it will travel to Copenhagen to be exhibited in the cultural center Nordatlantens Brygge (The North Atlantic House), where the exhibition is hosted until 20th of August. Can it all fit in there? HEIMA. Sýningunni HEIMA í Norræna húsinu lauk sunnudaginn 23. febrúar. Á mánudagsmorgni mættu ARKIRNAR og pökkuðu niður sýningunni, hátt í hundrað bókverkum. Sýningin, sem heitir raunar fullu nafni: hem : hjem : koti : heim : heima : angerlarsimafik, fer nú til Danmerkur og verður sett upp í Limfjordscentret Doverodde Købmandsgaard á Norður Jótlandi. Þar opnar sýningin 6. maí og stendur til 13. júni. Þaðan liggur leiðin til Kaupmannahafnar og frá 21. júní til 20. ágúst verða verkin til sýnis í menningarmiðstöðinni Nordatlantens Brygge í Christianshavn. HOME. 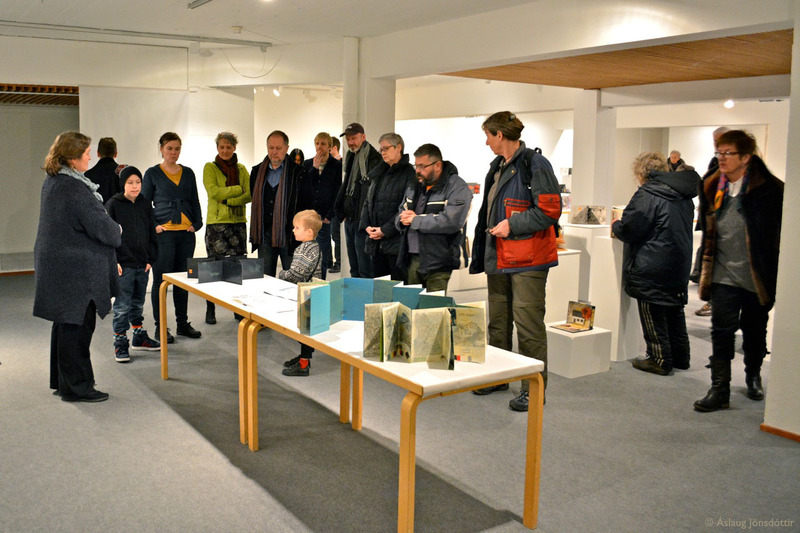 Sunday February 23rd was the last day of the book art exhibition HOME, hem : hjem : koti : heim : heima : angerlarsimafik, in the Nordic house. 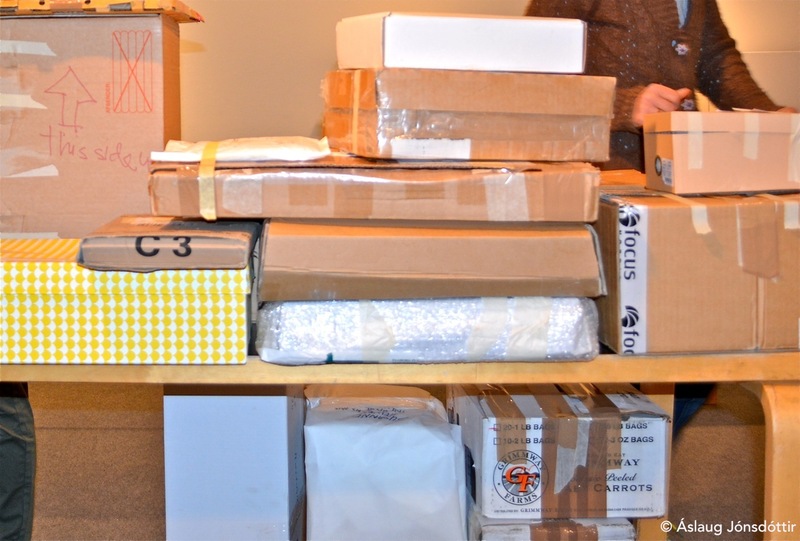 And Monday morning ARKIR met up to pack and make the works ready for shipping to Denmark. Next stop is a cultural center in North Jutland: Limfjordscentret Doverodde Købmandsgaard. The travelling exhibition will open there at 6th of May, closing on June 13th. Only a week later, on June 21st, it will open in the cultural center Nordatlantens Brygge (The North Atlantic House) in Copenhagen, where the exhibition is hosted until 20th of August. HEIMA – Síðasta sýningarhelgi! Leiðsögn á sunnudag kl. 14. 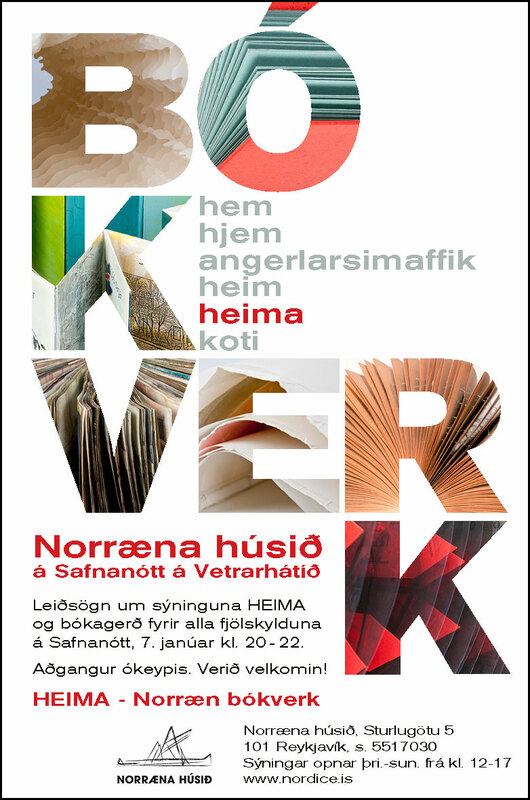 Það er komið að lokum sýningarinnar HEIMA, – hem : hjem : koti : heim : heima : angerlarsimafik í Norræna húsinu. Sýningu lýkur á sunnudag en hún er opin í dag og á morgun frá kl. 12-17. Leiðsögn verður um sýninguna á morgun, sunnudag, kl. 14. Verið velkomin! Aðgangur er ókeypis og bókaunnendum má benda á að bókasafn Norræna hússins er líka opið gestum. 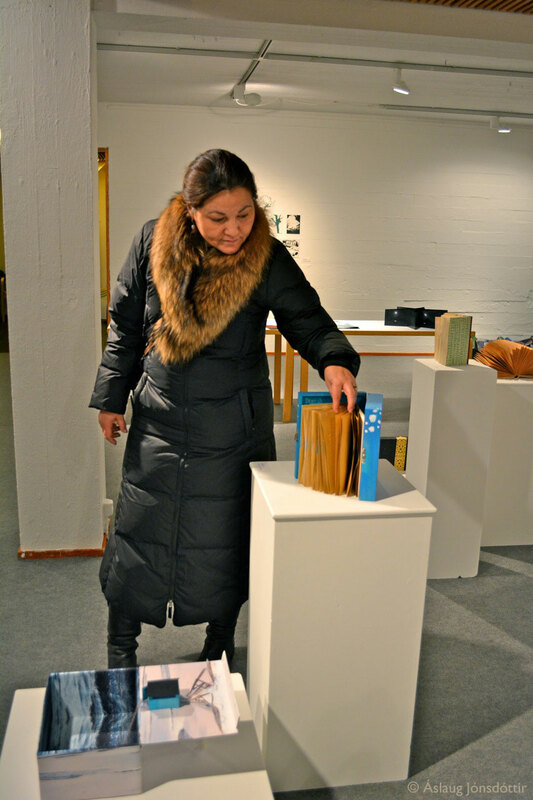 HOME – book art exhibition closing soon! Artist talk on Sunday 23. February, at 2 pm. 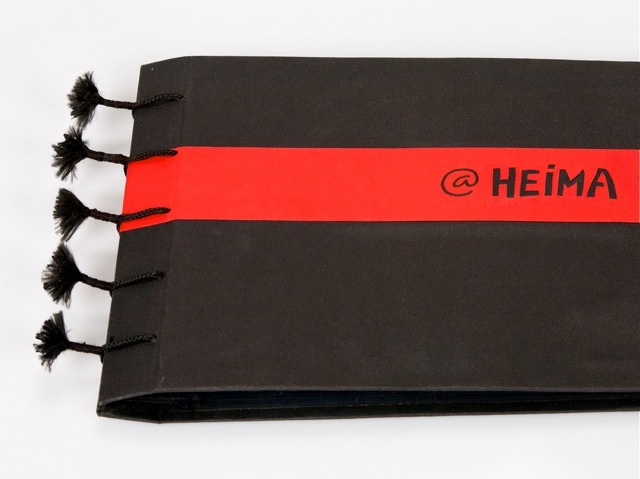 The exhibition HOME – hem : hjem : koti : heim : heima : angerlarsimafik in the Nordic house closes on Sunday. 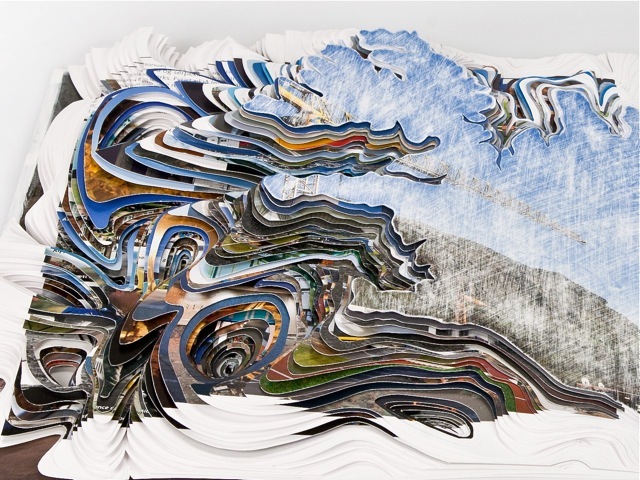 ARKIR members guide, give artist talks on Sunday at 2 pm. In Icelandic. Free admission. Níu meðlimir ARKAR-hópsins eiga verk á sýningunni HEIMA, sem stendur nú yfir í Norræna húsinu. Þegar farandsýningin var sett upp í Silkeborg á síðasta ári birtum við hér á vefnum hugleiðingar um nokkur verkanna. Nú rifjum við upp þessar kynningar. Smellið á verkin til að lesa meira um hugmyndirnar á bak við verkin og listamennina sjálfa. Sýningin í Norræna húsinu er opin þriðjudaga til sunnudaga frá kl. 12 – 17. Sýningunni lýkur 23. febrúar. 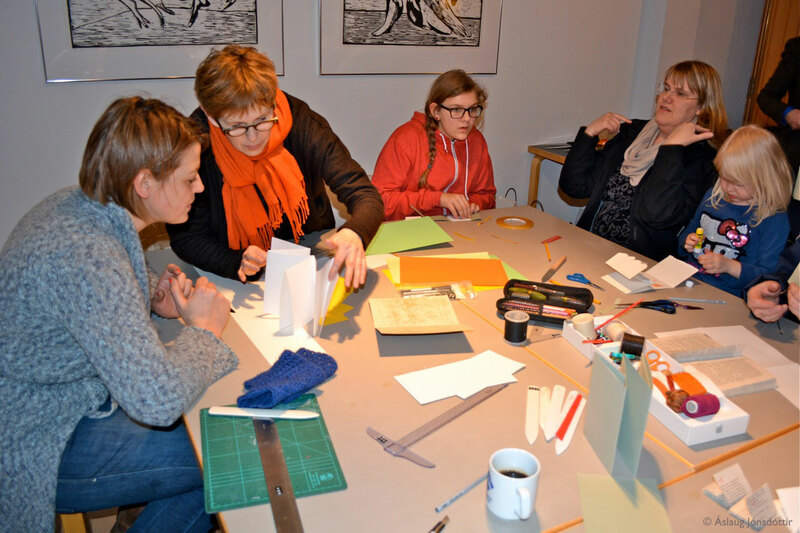 When the exhibition HOME opened in Silkeborg in Denmark last year, each one of us in ARKIR wrote a short text about the idea behind one artist’s book we had made for the exhibition. That way we made a series of blogposts on the theme: HOME. 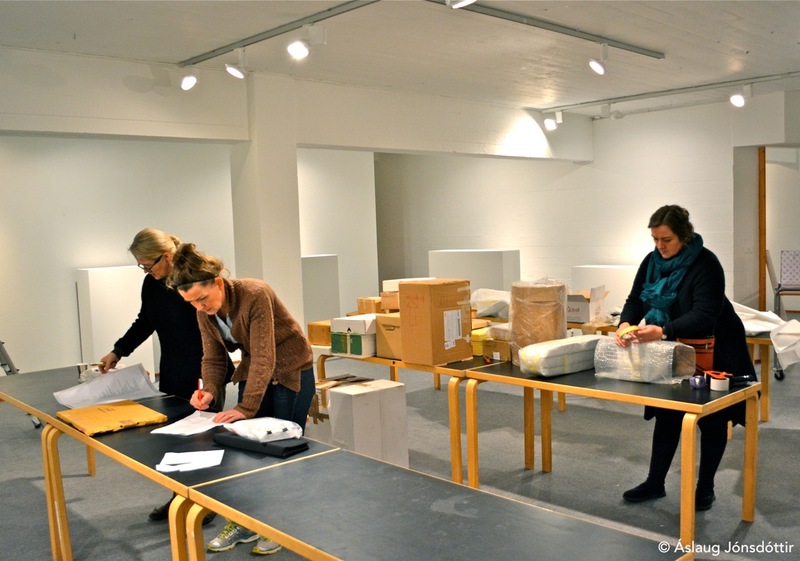 The exhibition has travelled from Denmark to Nuuk in Greenland and is now to be seen in the Nordic house in Reykjavík. 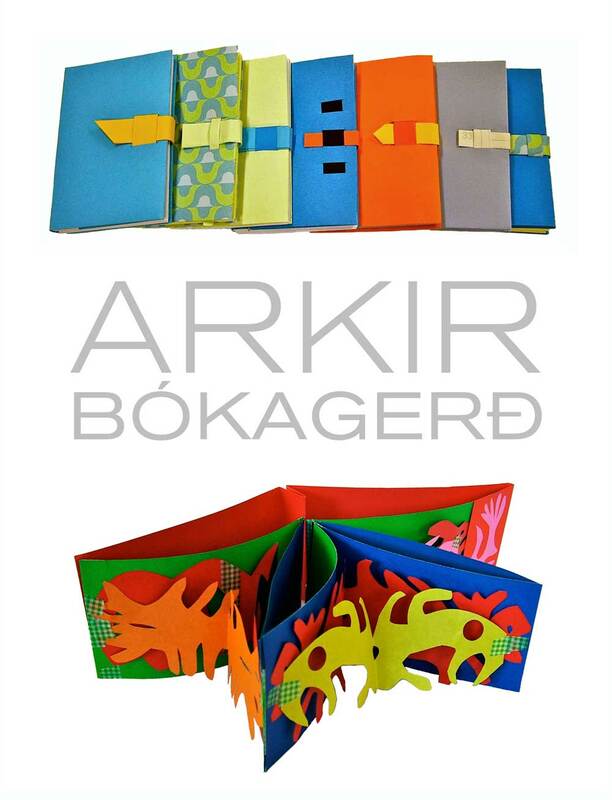 Click on the images to read more about some of ARKIR works. The exhibition in the Nordic house is open Tuesdays to Sundays from 12 to 5 pm. Open until 23. February.